Edgar keeps waking up his new baby sister but he can’t help being noisy, he’s an elephant! Luckily, his friend Ruby has an idea! 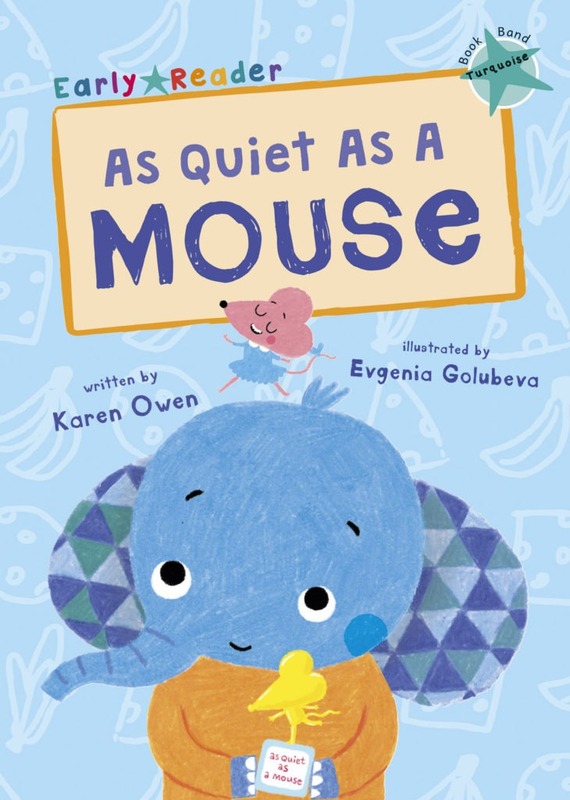 Can Edgar learn to be as quiet as a mouse? 600-800 words, one story per book with a quiz. There are no specific phonic requirements by this stage; most children will have finished formally learning phonics and they will be automatically applying phonic knowledge as they read. As stories become longer, children may need to use their prediction skills more, including prediction throughout a text and not just at the start. Longer stories give opportunities to develop a plot across a greater number of pages, however the language continues to avoid being too complex or sophisticated. Plots are still mostly simple and linear, without subplots, but there can be a bit more variation in dialogue and a greater range of sentence structures and lengths than at previous levels.